"This Ain't No Beer Gut"
Each fall Nashville Ear awards the Best of the Best honor to the songwriter that we feel stood out with exceptional songwriting and performances. Please join us in congratulating this years award winner Kurt Fortmeyer and after you read about his success and listen to his songs you will no doubt agree it was well deserved. Kurt Fortmeyer was born in a barn and raised in a stable environment, or so he might tell an unwitting listener in one of his sillier moments. His life was changed irreparably at a tender and impressionable age when he was subjected to Roger Miller, Allan Sherman, Chubby Checker, and Trini Lopez. His first solo show was at the HOLE IN THE WALL SALOON in Raleigh, North Carolina. In the late '70s, influenced by Jack Kerouac, Jesse Winchester, and Townes Van Zandt, he hitchhiked coast-to-coast, playing in the streets and parks of New Orleans, New York, Memphis, and San Francisco. Brandishing his acoustic guitar and harmonicas, and writing and playing original songs with a traditional bent, Kurt has been found in venues as wide-ranging as Montessori Schools, motorcycle bars, restaurants, and rest homes. He has performed at THE FESTIVAL FOR THE ENO, THE CASTALIAN SPRINGS BLUEGRASS FESTIVAL and THE HAW RIVER FESTIVAL. In 1994, he became a member of NSAI. In 1995, Kurt was honored with inclusion in the “Music of North Carolina” series at the NORTH CAROLINA MUSEUM OF HISTORY in Raleigh. In 1997, Kurt and his wife Nina opened HYPHEN COFFEEHOUSE in Fuquay-Varina, North Carolina which quickly built a reputation as a must-play venue for traveling singer/songwriters. In 2003, the Fortmeyers closed the Hyphen and began preparing for a move to Nashville, Tennessee. Kurt has shared the stage with Grammy-winning songwriters Steve Leslie and R.L. Castleman. and Hall Of Fame songwriters Don Wayne and Jimmy Payne. 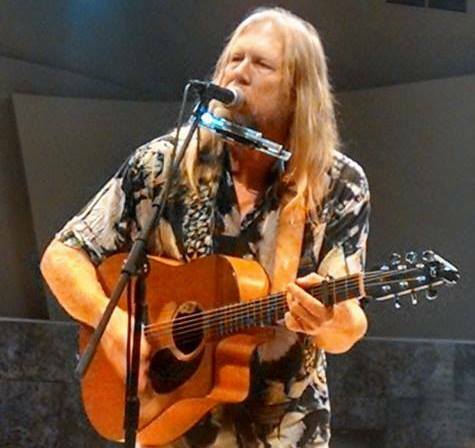 He has opened shows for many artists including Livingston Taylor, Emmylou Harris, and Doyle Lawson & Quicksilver. As at home in front of a microphone as he is on a front porch, Kurt plays real music, by, for, and about real people.